Do you want to test Stripe transactions before accepting real payments in WPForms? You can make trial purchases using test credit card numbers on your site and analyze the transactions by logging into your Stripe account. 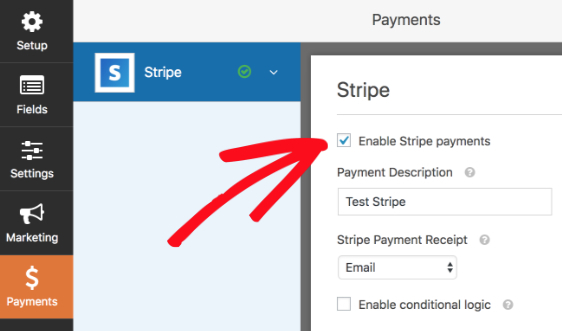 In this article, we’ll show you how to perform test Stripe transactions on your site. Before we get started, be sure to install WPForms on your WordPress site. Then, you’ll need to have the Stripe addon installed in order to test Stripe payments on your site. To begin testing the form, we’ll need to ensure that no real payments are made in the process. To do this, navigate to WPForms » Settings and go to the Payments tab. Note: Before continuing, you’ll need to check that you’ve added the Stripe keys to the plugin settings, so that you can connect forms to your Stripe account and continue testing. On this page, scroll to the Stripe section to select the Test Mode checkbox and click Save Settings. Next, you’ll either need to create a new form or edit an existing form with WPForms. In our example, we’ll use the Blank Form template. In the form builder, we’ll add fields to our form. To enable Stripe payment in the form, we’ll need the Credit Card field and a payment items field. If you’d like to, you can add other fields to collect information from your users. For our example, we’ll also add the Name, Email, and the Single Item fields. Once you’ve added the fields you’d like to have to your form, you’ll need to allow Stripe payments in the form by going to Payments » Stripe and select Enable Stripe Payment. Once you have set up your form, you can test the form on the frontend of your site. To do this without publishing the form to a live page, you can use the form preview option in WPForms, or create a private page or post. As genuine card information can’t be used in test mode, you can use any test card numbers listed in Stripe’s testing doc. Stripe does not send payment receipts in test mode so you won’t receive any Stripe payment notification automatically. To view or send receipts manually, you can check your Stripe Dashboard. To begin, you’ll need to log into your Stripe account. 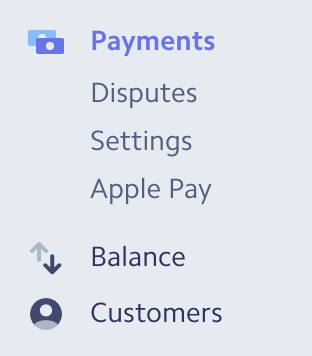 After logging in, look for the menu on the left and select the Payments option. 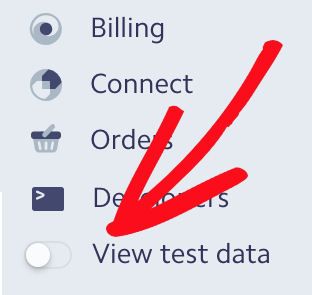 Next, near the bottom of the menu select the View test data button. 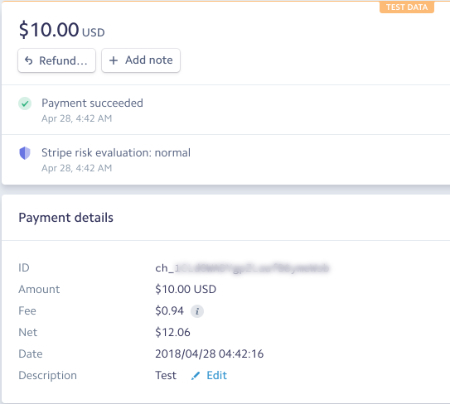 This will show you an overview of the test payments you’ve received in your Stripe account. If you’d like, you can view more details for an individual payment. To do this, go to the row for that entry and click on the three dots to see more options. Then, select View payment details. In the individual payment details page, you can see more information and options for the specific payment. 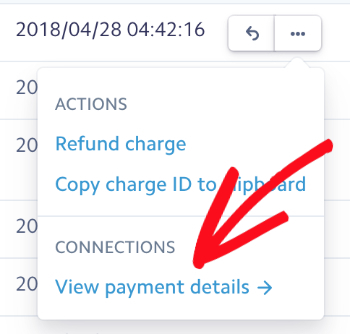 To view or send Stripe payment receipts for the test payment, scroll down to Receipt history section to click on View receipt or Send receipt. Note: When you are done testing, remember to deactivate Test Mode in Stripe before allowing users to submit payment in your form. You can do this by going to WPForms » Settings and the Payments tab, as seen the previous step. That’s it! 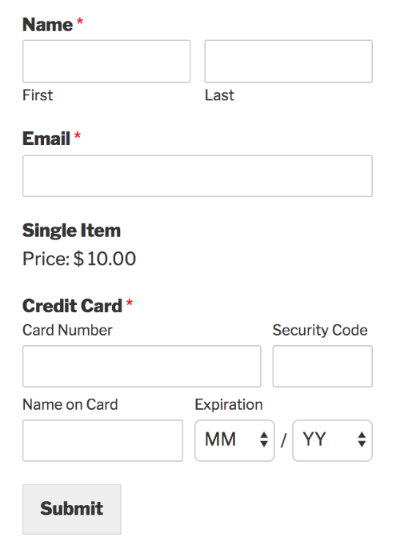 You can now test Stripe payments in the forms. Next, do you want to set up automatic form notifications so you can receive submitted entries in your email? Then, be sure to check out our guide on how to set up form notifications emails.